Excludes Civic Type R. Special APR offer valid on new and unregistered 2019 Civic Sedan Models from April 19, 2019 through April 30, 2019, to well qualified buyers on approved credit by Honda Financial Services through participating dealers. Must take new retail delivery on vehicle from dealer stock by April 30, 2019. Not all buyers will qualify. Higher rates apply for buyers with lower credit ratings. No-down-payment financing may be available for well-qualified buyers. Actual down payment may vary. Example for 2019 Civic: 0.9% for 48 months financing at $21.22 a month for every $1,000.00 financed. Dealers set actual prices. See your Honda dealer for details. 2019 Honda CR-V LX CVT AWD Lease. Total due at lease signing of $0. 36 monthly payments of $299. Total lease charge of $10,764. $0 Security deposit. Residual of $15,780. Cap cost of $25,026. Cap cost reduction of $0. MSRP $26,745. Acquisition fee of $595 IS included. On approved credit, min 750 FICO score. Based on 12,000 miles per year, excess miles charged at $0.15 per mile. Early lease termination fee may apply. $350 disposition fee. Plus taxes, title, license of $611 and $125.13 Oregon privilege tax. Financing available through Honda Financial Services. See dealer for complete details. Photos for illustration purposes only. Offer ends 04/30/2019. 2019 Honda Accord LX 1.5T CVT Lease. Total due at lease signing of $0. 36 monthly payments of $311. Total lease charge of $11,196. $0 Security deposit. Residual of $14,291. Cap cost of $22,473. Cap cost reduction of $0. MSRP $24,640. Acquisition fee of $595 IS included. On approved credit, min 750 FICO score. Based on 12,000 miles per year, excess miles charged at $0.15 per mile. Early lease termination fee may apply. $350 disposition fee. Plus taxes, title, license of $611 and $112.37 Oregon privilege tax. Financing available through Honda Financial Services. See dealer for complete details. Photos for illustration purposes only. Offer ends 04/30/2019. 2019 Honda Civic LX Lease. Total due at lease signing of $0. 36 monthly payments of $255. Total lease charge of $9180. $0 Security deposit. Residual of $12,476. Cap cost of $19,665. Cap cost reduction of $0. MSRP $21,145. Acquisition fee of $595 IS included. On approved credit, min 750 FICO score. Based on 12,000 miles per year, excess miles charged at $0.15 per mile. Early lease termination fee may apply. $350 disposition fee. Plus taxes, title, license of $611 and $98.33 Oregon privilege tax. Financing available through Honda Financial Services. See dealer for complete details. Photos for illustration purposes only. Offer ends 04/30/2019. 2019 Honda Pilot LX 6 Speed Automatic AWD Lease. Total due at lease signing of $0. 36 monthly payments of $385. Total lease charge of $13,860. $0 Security deposit. Residual of $20,264. Cap cost of $30,541. Cap cost reduction of $0. MSRP $34,345. Acquisition fee of $595 IS included. On approved credit, min 750 FICO score. Based on 12,000 miles per year, excess miles charged at $0.20 per mile. Early lease termination fee may apply. $350 disposition fee. Plus taxes, title, license of $611 and $152.71 Oregon privilege tax. Financing available through Honda Financial Services. See dealer for complete details. Photos for illustration purposes only. Offer ends 04/30/2019. 2019 Honda Fit LX CVT Lease. Total due at lease signing of $0. 36 monthly payments of $230. Total lease charge of $8280. $0 Security deposit. Residual of $10,910. Cap cost of $17,385. Cap cost reduction of $0. MSRP $17,885. Acquisition fee of $595 IS included. On approved credit, min 750 FICO score. Based on 12,000 miles per year, excess miles charged at $0.15 per mile. Early lease termination fee may apply. $350 disposition fee. Plus taxes, title, license of $611 and $86.93 Oregon privilege tax. Financing available through Honda Financial Services. See dealer for complete details. Photos for illustration purposes only. Offer ends 04/30/2019. We adjusted how we do business to match how our customers like to shop for and buy their vehicles (because that just makes sense!) Now, you only work with one person from start to finish, and our best prices are clearly posted so you don’t have to negotiate! Beaverton Honda In The Community! 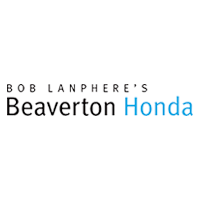 Since 1964, Bob Lanphere's Beaverton Honda has conducted our business with the idea that if we take care of our employees, and they in turn take care of the customer, the rest will take care of itself. We know that today’s car buyers are looking for a more simple, straight-forward sales process that doesn’t take too much time or effort. That’s why we implemented our “One person. One price” process. This means you’ll work with only one person from drive-up to delivery. You’ll also see that our very best price is posted in the window of every vehicle, so there’s no need to negotiate! It doesn’t get any easier than that. Please feel free to browse our New Honda Models, schedule a test drive and check out our monthly specials. You can also give us a call with any questions you may have at (503) 643-5577. If your vehicle is in need of service, simply schedule your appointment online here. Looking for tires for your Honda? Look no further than our Honda Tire Store. Thank you for visiting our website, and thank you for being part of the family!